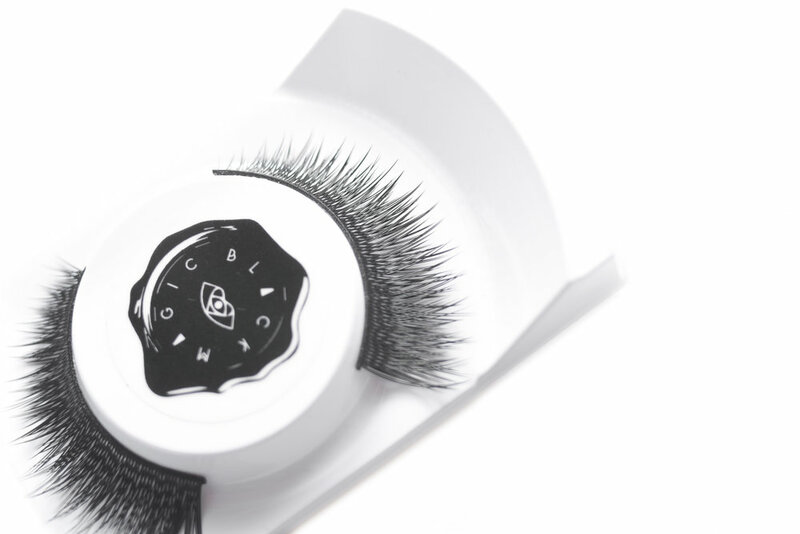 These lashes are made of 100% cruelty-free mink hair. Super soft and perfectly fluttery. 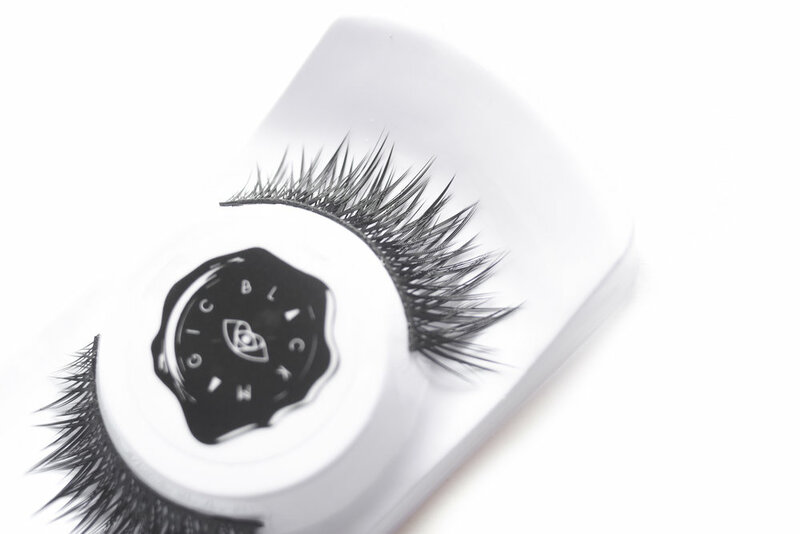 As beautiful as the lashes were, I was so mesmerized with the packaging I wasn't quite sure what to do with myself. The three pair came in their own little box that contains a little paper fortune. The three pairs were then bundled up in black paper and sealed with wax. Beautiful. I've pretty much used these lashes until they could be used no more. In fact, I still use them. I took great care of them, and aside from a little extra buildup on the band, there really isn't anything wrong with them. I had a few hairs fall out on Wicked, but that was my own fault for grabbing the actual lash band instead of the glue when I was taking the adhesive off. I've worn each one of these lashes at least 25 times. Ok, on to the new lashes! BML sent me 6 of their newest lashes. They recently launched two faux mink lines: Luxe Faux Mink and Faux Mink. Even though the real mink lashes are cruelty free, they were aware that some people still don't want to use anything derived from fur. I love these lashes. My favourite pair so far for a basic, everyday look is actually Alpha Girl. I looove Riot. They remind me of Anime lashes. Luminarra is perfectly fluttery and is so gorgeous for a dramatic and glitter eye. Below are couple eye looks I've done so far with my new lashes. They are incredibly stunning and pretty comfortable. 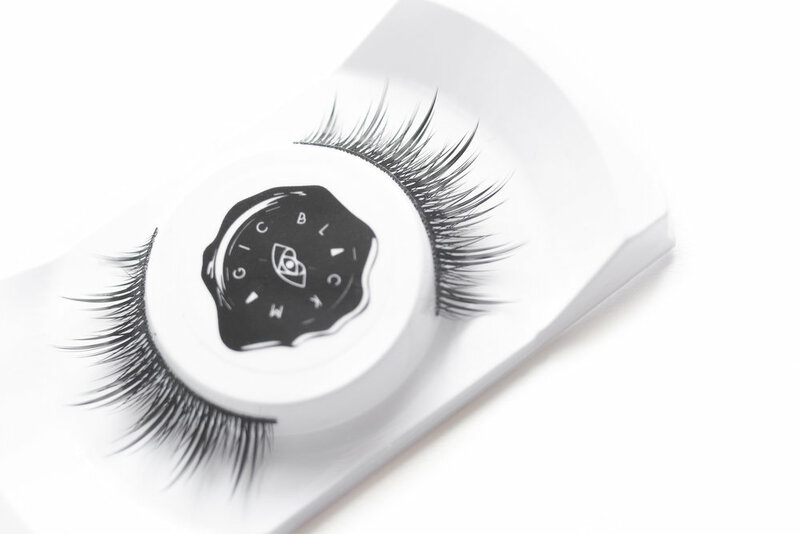 The Faux Mink isn't as soft and comfy as the higher quality Mink lashes, but as a long time eyelash wearer, comfort doesn't really matter when it involves beautiful lashes.